Peel back the curtains on one of the grandest buildings in the world to look for treasure and uncover its deepest secrets. 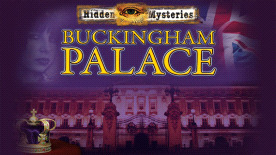 Learn fun facts about several royal locations while you search for hidden objects and play ingenious mini-games. Discover romantic notes strewn across beautifully rendered scenes in this exciting mystery adventure and follow the trail of the palace’s long lost treasure!